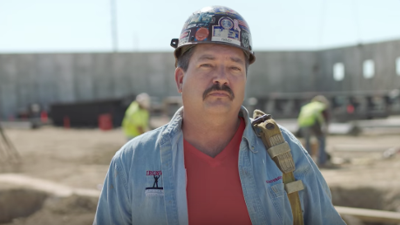 Randy Bryce gets endorsement from the Latino Victory Fund in race against the speaker of the House of Representatives, could become one of the big congressional battles of 2018. A Latino has emerged as an potentially strong contender in 2018 against Republican leader Paul Ryan. His name gives few clues about his roots, but Randy Bryce's father is of Mexican origin. Bryce will be endorsed Wednesday by a group that recruits progressive Latino candidates, the Latino Victory Fund, Univision News has learned. The endorsement is the latest boost for a blue collar candidate who is seen by many Democrats as the new face of a party that needs to appeal to disaffected blue-collar workers who voted in November for President Donald Trump. “Without a doubt, Randy is the progressive champion Wisconsin needs to stand up to President Trump, Republican leaders in Congress, and the special interests that write their reckless policies,” said Cristobal J. Alex, president of Latino Victory Fund. However, Bryce faces an uphill task to say the least, Ryan has been in Congress for almost 20 years representing Wisconsin's 1st district, in the southeast of the state. The powerful speaker of the House of Representatives won his re-election in November 2016 by an overwhelming margin of 35 points. Bryce says he's the strongest challenger Ryan has faced. Ryan's Democratic contender in November raised just $25,000, but Bryce has already received $1.5 million since announcing his candidacy June 19. "Paul Ryan knows he's going to fight for his political life," Bryce told Univision News in a phone interview. Bryce was born in Wisconsin in 1964, the son of a father of Mexican ancestry and a Polish mother. When he was very young, his parents divorced and he was adopted by his stepfather, of English origin, from whom he took his last name. He says he has some childhood memories of tortillas being cooked and speaks some Spanish, although a bit rusty: "When I go to Mexico I only need a couple of days to pick it up again," he said. Bryce pitches himself as a working class man close to voter struggles: he's a single parent, cancer survivor, an Army veteran and union leader. His nickname and account name on Twitter is "Iron Stache", a mockery of his blue-collar appearance. He owes much of his popularity to a video ad that is likely to resonate in the Rust Belt . In the video, Bryce is seen wearing jeans and a hard hat while at work at an iron mill, next to his mother Nancy, who suffers from multiple-sclerosis that forces her to take 20 drugs to relieve her pain. The video opens with footage of Ryan next to Trump in the White House celebrating passage in May of the House Republican bill to repeal and replace Obamacare. Ryan could be hurt by his association with Trump and the legislative gridlock. Polls show that his approval has fallen in his district throughout the year. "The fact that they are paying attention to me when they've never paid attention to anybody running against Paul Ryan in the past proves to me that they are scared," Bryce said. He added that Republicans "have every reason to be afraid because people are coming together and we've had enough of them attacking the workers." Republicans have downplayed the Democrats' challenge, noting that Bryce lost in two previous elections: in 2012 when he competed for a seat in the State Assembly and in 2014, when he did so for a seat in the State Senate. He blames those defeats on the Republicans' gerrymandering of the districts' map to favor the party. The allegation is currently being examined in Washington by the Supreme Court. The support of the Latino Victory Fund further strengthens Bryce's bid. The group supports its candidates with money, advice and surrogates. In 2016, the LVF supported, among other successful candidates, Nevada Senator Catherine Cortez-Masto, the first-ever Latina senator. This year, the LVF has scored two significant wins: Jimmy Gomez's victory in the special campaign to replace California's congressman Xavier Becerra, and the election last week of Colombian Annette Taddeo for the Florida Senate, the first-ever Latina Democrat state Senator in Florida. The LVF is the campaign arm of the Latino Victory Project, a group co-founded by actress Eva Longoria to build political power within the Latino community. Bryce's campaign website features some proposals that echo Senator Bernie Sanders unsuccesful campaign for president last year, such as the minimum wage of $15 per hour and a single payer health system. He supports comprehensive immigration reform. On his website he accuses Ryan of sitting "idly by while our neighbors—his constituents—right here in Southeast Wisconsin live in fear of deportation." Bryce says he is close to groups of immigration activists, such as Voces de la Frontera, which has offices in Racine and Milwaukee. To workers who view immigrants as threats to their jobs, Bryce tells them the problem is not them, but "employers who pay them virtually nothing and take advantage of them."